Interviews are the bread and butter of many great podcasts, whether it’s a guest that’s been invited in to discuss a topic or something a little more ‘vox pop’ – street interviews and the like. Ideally these conversations are face-to-face, but of course, this isn’t always possible. Unless you’ve been able to schedule in time for your guest to join you in your studio or recording space, or you're able to go out and meet them, you’ll need to do your interview remotely over the phone or using an app like Skype, and this poses a question for podcasters – how do you record these calls? In case you haven’t caught on yet, the RØDECaster Pro is a revolutionary console that brings a new level of simplicity and professionalism to podcast production, and this includes recording remote interviews of all kinds. 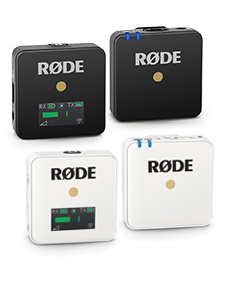 Mobile devices can easily be connected via TRRS cable or Bluetooth, allowing calls to be either recorded and stored for later use or streamed on-the-fly during a podcast. It automatically provides a mix-minus too (more on this later). No other mixer or interface allows you to integrate phone calls into your podcasts so easily and with such impeccable sound quality. 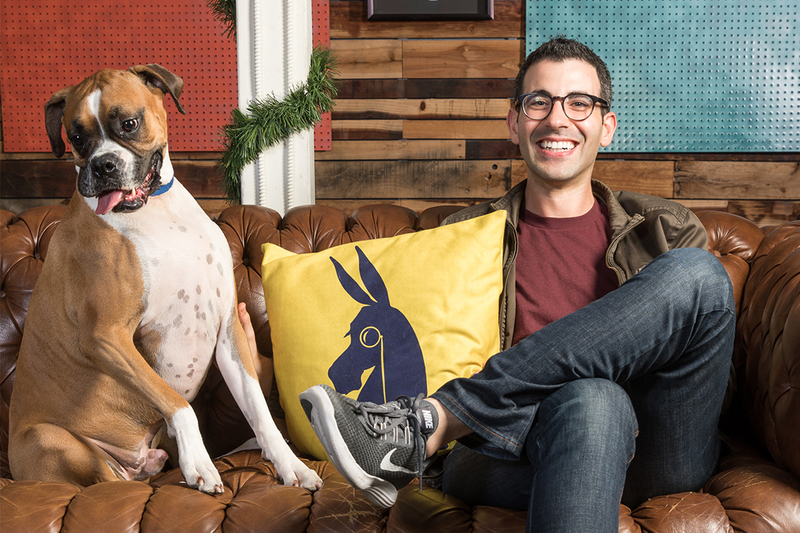 Below we take a look at the ins and outs of recording remote calls for podcasts, with a little help from Salamon, as well as Mike Dawson, the voice, engineer and co-producer of The Adam Carolla Show. The goal for recording remote interviews is clean, clear audio, and there are a couple of factors that will influence this. “The most important thing we do is ensure each of our remove interviewees, hosts or guests have a decent microphone and is recording locally,” says Salamon. Prior to dialling in the call, make sure your guest is somewhere quiet and as acoustically ‘dead’ as possible. It’s likely they won’t have a studio handy, but bedrooms, offices and carpeted areas usually work just fine. This may mean being flexible to fit in with their schedule, but it will pay off in the long run. 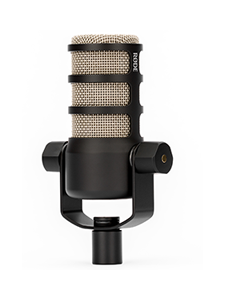 If you are conducting the interview over Skype, Google Hangouts, or any other desktop apps, suggest they use a high-quality microphone – USB mics like the RØDE NT-USB are a great option. If they don’t have access to a microphone, you might want to suggest they use a headset or earbuds with an inline mic (like the ones that come standard with every iPhone). These will improve the audio quality, ensure your guest can hear you clearly, and help eliminate delay and feedback. Remote interviews are always going to suffer in terms of audio quality, so it’s important you do all you can on your end to compensate: make sure your levels are balanced, monitor the conversation on headphones (this will help eliminate feedback), and speak clearly to make sure your questions are heard! Compared to a regular face-to-face chat, preparing for a remote interview may take a little more time and effort to ensure the process runs smoothly – even a slight hiccup can derail a great conversation, so ticking all the boxes beforehand is important! Make sure your phone is charged and 100% operational. If your phone is faulty in any way, borrow another for the interview – you don’t want to risk losing your recording because of a glitchy smartphone or a dead battery. Turn off notifications or set your phone to ‘do not disturb’ to avoid distractions during the call. In the digital age, we’re spoiled for choice when it comes to ways we can connect with people remotely. You probably have your personal preference for how you like to make your calls, but it’s a good idea to be familiar with a range of apps and services – you never know what your guest may prefer. Skype, Facetime, Facebook Messenger, Viber, Slack, Google Hangouts, and WhatsApp are all popular alternatives to traditional phone calls. Download the apps and familiarise yourself with how they work. All of the apps mentioned above have video call functionality. And while it may be tempting to conduct your interview over video to make it feel as though you’re talking face-to-face, we advise against it! Video calls take up far more bandwidth than audio-only calls and can result in poor sound quality (something you are already battling with doing interviews remotely). “My experience is I hate the digital scream of video calls like Skype and prefer a phone line,” says veteran podcast producer, Mike Dawson. Remember, there’s not much you can do about a poor-quality recording in post-production, so steer clear! Feedback and delay are your enemies when it comes to recording calls of any kind. These issues can originate from a number of sources but can usually be eliminated with a mix-minus configuration. What’s mix-minus you ask? In audio engineering, it’s a specialised mixer setup in which the mix of a caller's output includes all of the inputs, minus their own. It’s commonly used in radio so that telephone callers hear everything but their own voices when they’re speaking with a host and/or other guests. It’s an effective way to curtail feedback and delay, which can be particularly annoying if you are recording a phone call. However, setting up a mix-minus configuration with a traditional mixer is a fairly complicated process. 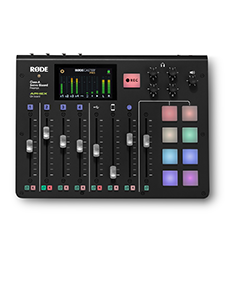 Automatic mix-minus is just one of the reasons why the RØDECaster is the go-to solution for podcasters of every level. No other piece of gear packs so many podcast-centric features in a single unit. It truly is pro podcasting made easy. Find out more about the RØDECaster Pro here.